Being the heart of any corporate application means your database technology must be implemented and configured for maximum security. Whilst the desire to ‘get the database as secure as possible’ appears to be a clear objective, what does ‘secure as possible’ mean? How hard is it to derive a suitable hardened build standard for your Oracle or SQL Server database? 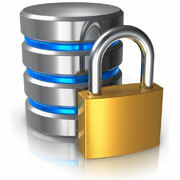 Therefore, just as with any Windows or Linux OS, there is a need to derive a hardened build standard for the database. This security policy or hardened build standard will be derived from collected best practices in security configuration and vulnerability mitigation/remediation, and just as with an operating system, the hardening checklist will comprise hundreds of settings to check and set for the database. Depending on the scale of your organization, you may then need hardening checklists for Oracle 10g, Oracle 11g, SQL Server, DB2, PostgreSQL and MySQL, and maybe other database systems besides. NNT is a Certified Vendor for CIS Benchmark Checklists, the recognized Number One resource for system hardening and vulnerability management. Potentially, there will be a requirement to verify that all databases are compliant with your hardened build standard involving hundreds of checks for hundreds of database systems, so automation is essential, not least because the hardening checklists are complex and time-consuming to verify. There is also somewhat of a conflict to manage in as much as the user performing the checklist tests will necessarily require administrator privileges to do so. So in order to verify that the database is secure, you potentially need to loosen security by granting admin rights to the user carrying out the audit. This provides a further driver to moving the audit function to a secure and automated tool. In fact, given that security settings could be changed at any time by any user with privileges to do so, verifying compliance with the hardened build standard should also become a regular task. Whilst a formal compliance audit might be conducted once a year, guaranteeing security 365 days a year requires automated tracking of security settings, providing continuous reassurance that sensitive data is being protected. Finally, there is also the threat of malware and insider threats to consider. A trusted developer will naturally have access to system and application files, as well as the database and its filesystem. Governance of the integrity of configuration and system files is essential in order to identify malware or an insider-generated application ‘backdoor’. Part of the answer is to operate tight scrutiny of the change management processes for the organization, but automated file integrity monitoring is also essential if disguised Trojans, zero-day malware or modified bespoke application files are to be detected. In summary, the most comprehensive measure to securing a database system is to use automated file integrity monitoring. File integrity monitoring or FIM technology serves to analyze configuration files and settings, both for vulnerabilities and for compliance with a security best practices-based hardened-build standard. The FIM approach is ideal, as it provides a snapshot audit capability for any database, providing an audit report within a few seconds, showing where security can be improved. This not only automates the process, making a wide-scale estate audit simple but also de-skills the hardening exercise to an extent. Since the best practice knowledge of how to identify vulnerabilities and also which files need to be inspected is stored within the FIM tool report, the user can get an expert assessment of their database security without needing to fully research and interpret hardening checklist materials. Finally, file integrity monitoring will also identify Trojans and zero-day malware that may have infected the database system, and also any unauthorized application changes that may introduce security weaknesses. Of course, any good FIM tool will also provide file integrity monitoring functions to Windows, Linux and Unix servers as well as firewalls and other network devices, performing the same malware detection and hardening audit reporting as described for database systems. For fundamentally secure IT systems, FIM is still the best technology to use. To help you get started with deriving your own hardened services policies, NNT have provided you with Hardened Services checklists. You can manually audit your server for compliance using the checklists provided below, changing service mode and state using the Windows Services Console (search or run -> services.msc). As ever, it pays to test application and service delivery as you apply hardening measures to ensure required functionality is preserved while security is improved. The file download contains Hardened Services Lists for Server 2016, Server 2012R2, Server 2008R2, Windows 10, RHEL 7 and CENTOS 7. Please contact [email protected] with any questions or to get help with your hardening project.